Our client prides itself on being a technology driven company that also trades. Their approach of developing intricate and competitive trading strategies across numerous markets spanning the globe has enabled them to remain profitable each year of their 10+ years of existence. They will always look for ways to improve their business, their trading systems, and most importantly, those who use them. We are looking for developers who are interested in designing and developing the highest in quality front office trading systems. You will be working directly with numerous trading groups / desks so someone who enjoys collaborating between varying business units and technical teams is very important to us. + Python is a plus! On top of a competitive base salary plus bonus compensation plan, we provide our employees with company paid medical benefits, catered lunches, company sponsored outings and trips, great work/life balance, and generous PTO plan. 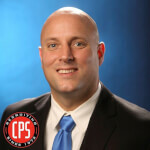 In 2004, shortly after graduating from NIU's College of Business, my recruiting career at CPS, Inc. started. During this time, I have been able to learn from some of the best recruiters within the industry and continually look to improve myself in order to better serve both the candidates and client companies I represent. I partner with several of the leading tech firms in Chicago and across the country in helping them secure hard to find technologists. These companies are in a variety of industries: Financial/Trading, E-Commerce, Data Analytic, Ad-tech, Education Tech, SaaS, Hedge Funds, and more. The positions I work include: Software Engineers (C++, Java, C#, Python, Ruby, etc. ), Network/Systems Engineers, DevOps, DBA's, Data Scientists, and more. I grew up in the west suburbs of Chicago just blocks from the famed Brookfield Zoo. I enjoy spending time with my wife and our three children and try to keep up with all of their activities. I try to remain as active as possible and enjoy all things "sports". You can find me at Soldier Field for most Bears games and will never say no to a good chicken wing.